On October 12, 2017, the Ontario Ministry of Agriculture, Food and Rural Affairs (OMAFRA) was notified of a confirmed case of Eastern Equine Encephalitis (EEE) in a horse in Bruce County. The 12 year old unvaccinated mare with no travel history was euthanized following the sudden onset and progression of neurological signs. The horse was found down in the field, became unresponsive and was euthanized. A post-mortem examination was performed at the Animal Health Laboratory in Guelph, Ontario and EEE was confirmed by testing of brain tissue. Veterinarians in Ontario should consider EEE as a differential diagnosis in horses exhibiting neurological signs and can identify positive cases through appropriate testing. IgM antibodies to the EEE virus (EEEv) can be detected in serum from horses with neurological signs. 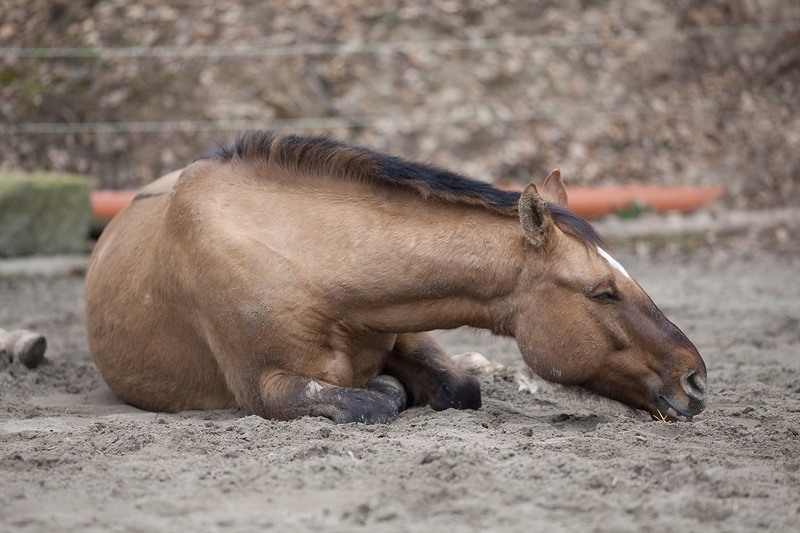 Clinical signs of EEE (including circling, head-pressing, ataxia and depression) can mimic a variety of encephalitides including rabies, West Nile virus (WNV), botulism, hepatic encephalopathy, equine protozoal myeloencephalitis, and equine herpes myeloencephalopathy. Most equine cases of EEE in Ontario occur between August and September, although cases such as this one can occur later in the year if environmental conditions permit the survival of the mosquito vector species. Effective equine vaccines for EEE are available and veterinarians should encourage clients to keep their horse’s vaccinations current. Once clinical infection develops, treatment options are limited to supportive care. The mortality rate in unvaccinated horses is high. EEEv affects mainly equine species in eastern North America, but can occasionally cause severe disease in humans, including permanent brain damage or death. EEEv has also caused fatal infections in pheasants, quail, captive whooping cranes, emus and dogs. EEEv has been present in the Ontario horse population since 1938. In 2014, 24 EEE cases were reported. Ontario’s public health units are conducting mosquito surveillance for both WNV and EEEv. Birds are the natural hosts for both viruses, which are transmitted to horses and humans by mosquitoes which have bitten an infected bird. During the week of October 1 to 7, 2017, one mosquito pool in the Huron health unit was positive for EEEv. This entry was posted in Equine Corner. Bookmark the permalink.